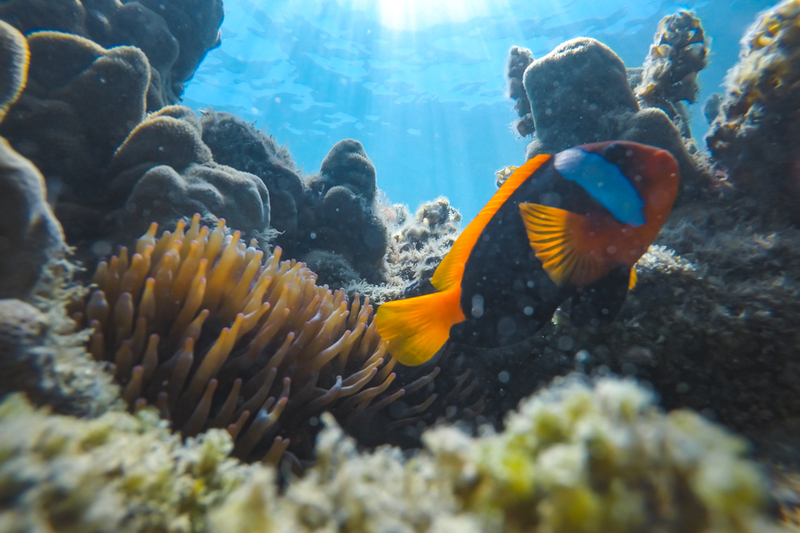 There are thousands of individual species that live in the Great Barrier Reef Marine Park. From birds, to mammals, to fish and corals, there is a huge variety of what can be found above and below the water. Below we have listed some exciting things you can expect to see when snorkelling in particular. Coral can be grouped into several categories, depending on what type you are looking at. You can see staghorn, brain, plate, mushroom, slipper, microatoll and bommies when below the waterline and sometimes from above. Staghorn and plate corals are the most abundant types of coral you will encounter when snorkelling and are easily spotted, even by novice snorkellers. Staghorns are the branches of coral that often resemble a bundle of tree branches, while plate corals look like plates, often stacked together. Molluscs include clams, mussels, slugs, snails and octopi. 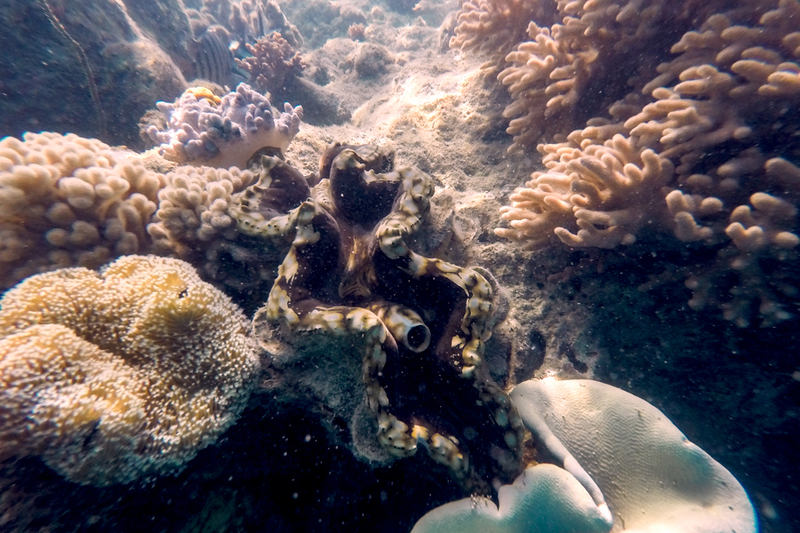 In the Marine Park and the Whitsundays, you may see some species from this group such as giant clams, which have colourful fleshy lips, cone shells, which are extremely deadly if handled or touched, and sea slugs, which look like colourful kaleidoscopes of colour in the form of a slug. Echinoderms include sea cucumbers and sea stars, among other animals. 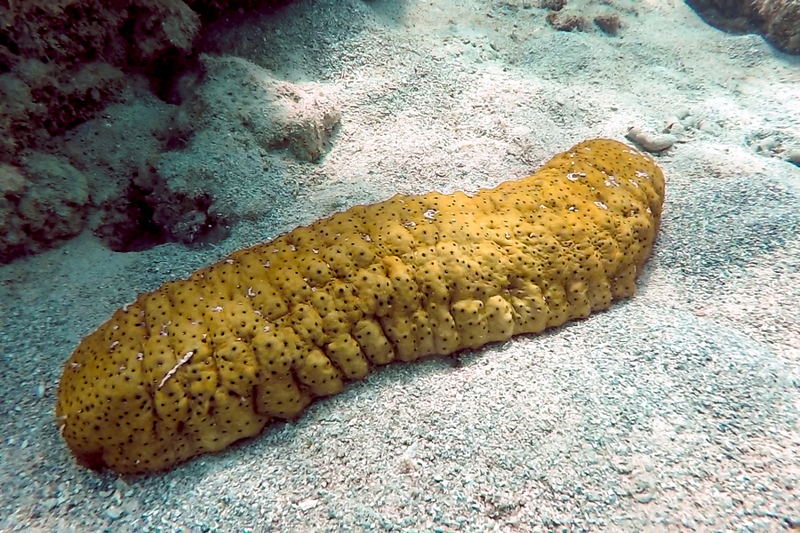 Sea cucumbers are easy to spot, as they are long and spherical, like that of a real cucumber. They are slow moving and dark brown or black, making them easy to spot. You can often see sea stars (often miscalled starfish) around the reef as well. They usually have 5 arms, but some may have more or less, depending on the kind of life they've had! Echinoderms can grow back missing parts if they have been damaged or have been been a tasty snack for other marine animals, sometimes resulting in an uneven appearance. The most noticeable species on the reef are the fish, of course! There are thousands of species that live in the Marine Park, many of which you will see on any snorkelling trip! They come in an amazing range or sizes, colours and temperaments. Some will be happy to come greet snorkellers and hang out close by, while others may dart away and seek shelter from their visitors! You will see big, small, fast, slow, colourful and bland! Each and every species is different and adapted to their reef in their own way which allows them to survive and live their best life. 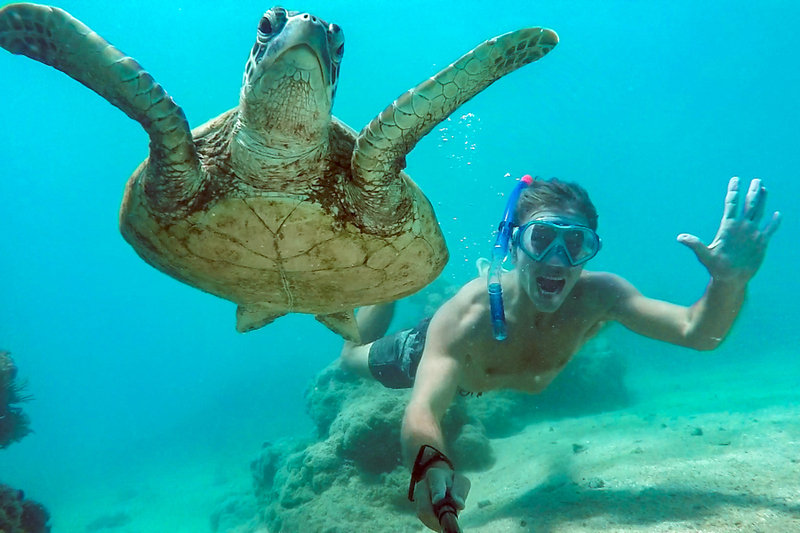 Sea turtles are a favourite among many snorkellers on the reef. Six out of the seven species of sea turtles in the world live on the Great Barrier Reef. 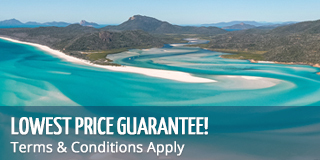 The most commonly spotted in the Whitsundays is the green sea turtle, which can often be found munching on coral. Older, more mature sea turtles are more often spotted from above the water in the seagrass beds when they surface for air. The younger turtles that are often spotted when snorkelling are content to mind their own business as you snorkel around them, but will swim away if you frighten or disturb them! The best way to enjoy their company is to maintain your distance, admire them from afar and never block their path to the surface. They breathe air just like people do and need to make their way up from time to time. 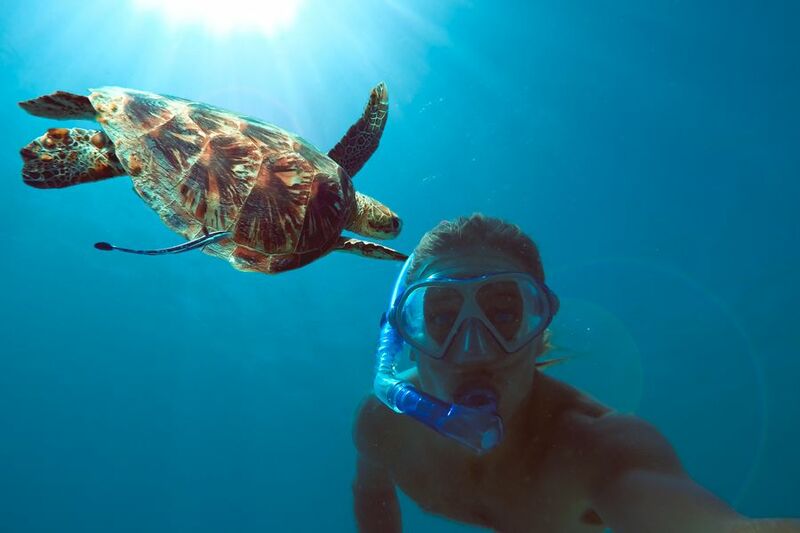 You are less likely to see sea mammals than any other marine species when snorkelling. They are much fewer in number and often stay away from noise and boats. 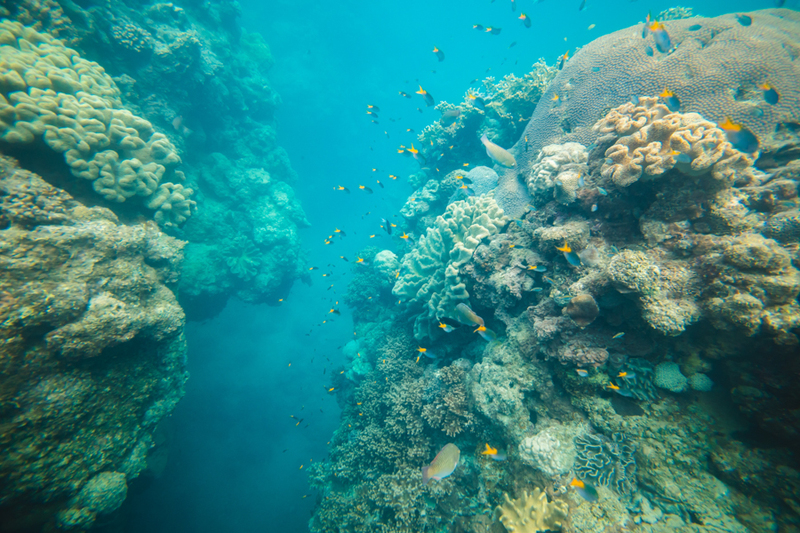 You may see whales or dugongs when you're above water, but less likely when you're snorkelling among the reefs.